Movies based on video games usually don’t go so well, but this movie based on a video game has Michael Fassbender and Marion Cotillard, so here’s hoping the Assassin’s Creed film adaptation can raise the stakes for the genre. Yahoo has an exclusive first peek at Fassbender looking very stylized and video-game ready as Callum Lynch. Now we just need an action shot of him swan diving into a haystack to see if he’s really ready for the world of Assassin’s. Fassbender’s Callum is a descendant of the secret Assassins society who relives the adventures of his ancestor in 15th-century Spain through the power of genetic memories before bringing all his newly acquired stabbing skills to his own timeline. Game players might be asking themselves who the heck this Callum dude is, but that’s because he’s a new character created specifically for the movie. In fact, the movie won’t retell any of the stories already covered in the games, and will instead add new characters to the universe, which sounds like a promising approach to video-game-to-film adaptation. 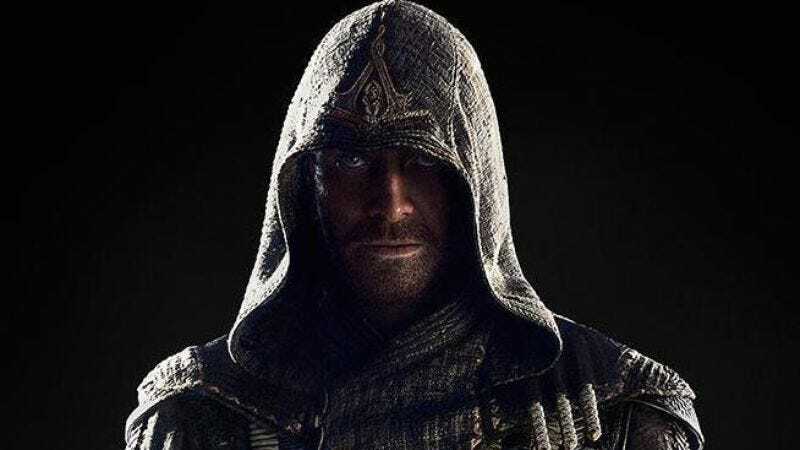 The Assassin’s Creed film is written by Adam Cooper and Bill Collage, who have plenty of experience writing for different times periods, having worked on Darren Aronofsky’s George Washington film, The General, and Exodus: Gods And Kings, Ridley Scott’s adaptation of the Moses story. Justin Kurzel, currently working with Fassbender and Cotillard on Macbeth, is set to direct. Assassin’s Creed also stars Michael Kenneth Williams and Ariane Labed and starts filming on Monday. The sprawling film is set to shoot on location in Malta, London, and Spain and will swan dive into theaters on December 21, 2016.